UPDATE for 2016: Even though this article is two years old, the times listed below ARE correct for this year as well. Happy Viewing! Tonight’s the big night: the 86th Annual Academy Awards! According to Oscar.com, the show airs tonight on ABC at 6:00pm Central Time (7e/4p). But I’ve been burned by that before. Year after year I tune in at the time it tells me, only to get mired in Red Carpet coverage that seems to go on forever. I remember thinking, “Oh yeah, there’s like half an hour of this. That’s not bad.” But 30 minutes later, it’s still going on. Jeez, when do we actually get to the good stuff?? 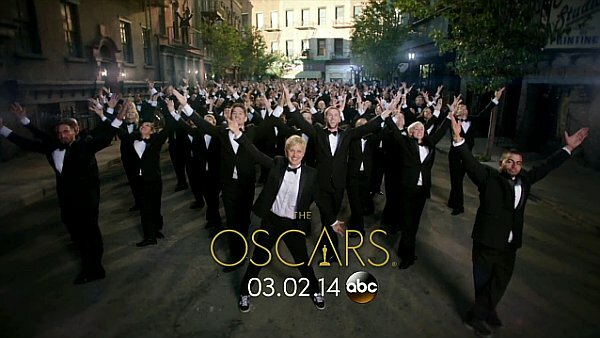 The Oscars will begin at 8:30 Eastern/5:30 Pacific. For those of us here in the Central Time Zone, that’s 7:30pm… a whole 1.5 hours later than advertised! Look, I get it. Obviously ABC (the actual company behind Oscar.com) wants you to watch their station and see their ads for as long as possible. That’s their whole business model. But it’s really disingenuous they way they go about it. It’s one thing to pad out an hour and a half of red carpet interviews – hell, there’s a lot of people who actually like, even prefer that part. But by saying simply “The Oscars start at 7” instead of “Red Carpet starts at 7; Oscars start at 8:30,” they’re essentially tricking the public into watching. It’s the kind of thing that turns off customers. Of course, they can get away with it easily – I’m not about to not watch the Oscars just because ABC is being dirty and underhanded. But there are 364 other days in the year. ABC has to realize that the face of network television is changing. The old model is disappearing. They’re not doing themselves any favors by giving consumers another reason not to tune in.